Happy Thursday! Hope everyone's been having great weeks and all that since I've been rather silent. (Hey, your only child getting married tends to distract, what can I say?) But I'm back and there's so much news I'm honestly not sure where to start. But start we shall! 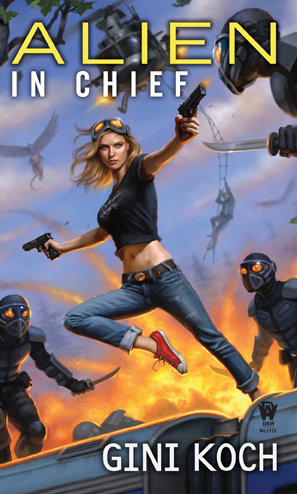 First up, I got some lovely press from New Times, when they chose me as one of the 10 Metro Phoenix Sci-Fi and Fantasy Authors You Should Know. After reading about me and the 9 others called out, check out Creative Play and Podcast's video giving you some highlights from this year's Tucson Festival of Books. 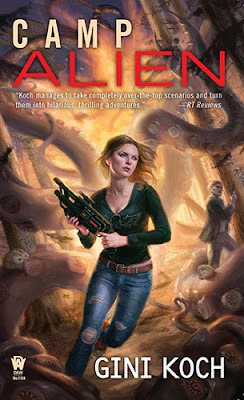 Next up, advanced copies are out on Camp Alien, and Publisher's Weekly said lovely things -- including "...the action never pauses in Koch’s fun, energetic series." Check the full review out, and then see what boeklogboek and Larissa's Bookish Life thought of Camp Alien as well. Remember to do your girl a solid and pre-order Camp Alien from your favorite bookstore or online retailer. And also remember that you can pre-order from any bookstore where I'm making a book tour or stock signing stop and they'll ship the signed bookie wookie right to your door. 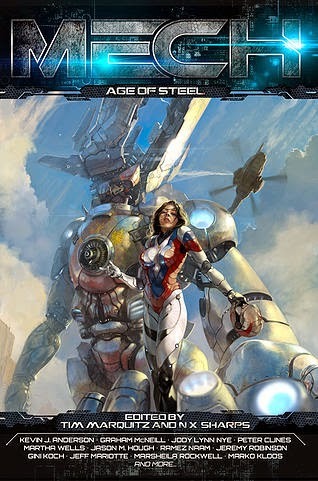 Now, let's look at the latest cool Kickstarter anthology I'm in, MECH: Age of Steel. We've been waiting to get this puppy launched for ages, but the time is here! I had a ton of tuckerizations available, but as of right now only one remains. So if you want to become immortalized in my story, "Jaegermeister", then you need to get crackin'! There are tons of other tuckerizations available, as well as cool support levels for all budgets. So don't miss out -- Ragnarok does awesome anthologies. Oh, and while this wasn't drawn for my story, the hardback cover pretty much captures my story. 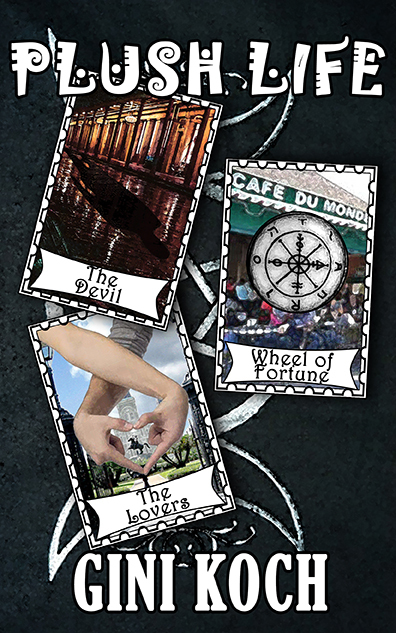 Plus, if we hit a high enough funding level, every story will have awesome illustrations. "Jaegermeister" has a two-page spread, so, again, you WANT in on this one! Pearls Cast Before a McPig did a nice release day alert for Plush Life. Reviews are coming in, too, so see what Bibliognome, Book Girl of Mur-y-Castell, Gizmo's Reviews, via TalkSupe, and boeklogboek thought of it as well! You can get your own copy of Plush Life from Amazon, Barnes and Noble, Smashwords, or CreateSpace. I'll also have copies with me on book tour and, of course, at Phoenix Comicon. Full schedule, including booth number and all the deets for my annual Evening Erotica event to come next week! Next up, see what Xtreme Delusions thought of Alien in Chief. Going to the movies this weekend? Head over to Slice of SciFi and see what I thought of The Huntsman: Winter's War. And now for some science! Space.com shares what Stephen Hawking's working on right now. Just a little thing called Project Starshot. And The Two Way from NPR gives more details about the postage stamps that are going to head out for Alpha Four. (You know, if ACE and Algar allow it.) And Space.com queries What Do We Know About Alpha Centauri? I'll let you draw your own conclusions as to whether they're right on or not. That's it for today, but as always, more's on the way, including the contest I've been promising. (I promise.) So, enjoy your weekends, and let's be Kickstarting, pre-ordering, fun-time-having readers out there. Peace out, my li'l gangstas, and I'll catch you on the flip side! No Lie, It's Release Day! This isn't an April Fool's joke -- Plush Life is now on sale everywhere! 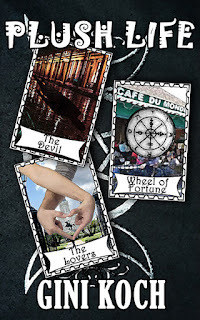 Amazon, Smashwords, Barnes and Noble, and CreateSpace. So, don't delay, get your copy today! 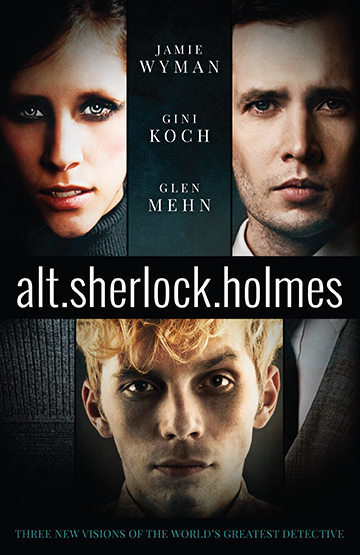 Also, alt.sherlock.holmes, featuring my novella, "A Study in Starlets", will release soon (like April 7th soon), and pre-orders are now available for both hard copy as well as ebooks! And, of course, it's never too late or too early to do your girl a solid and pre-order Camp Alien and Alien Nation now, from your favorite online or physical retailer. Then check out what Alien Romances thought of Alien in Chief. After that, check out the interview with one of my editors on MECH: Age of Steel over at Geek Dad. 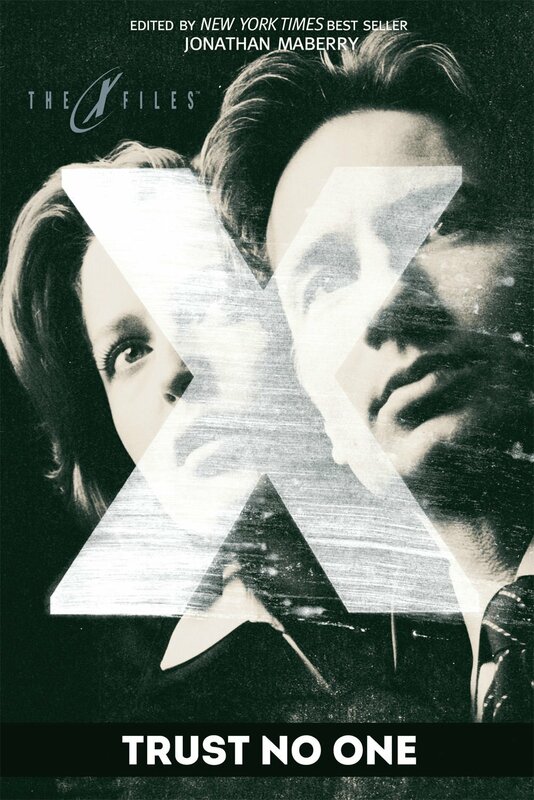 Then see what The Books That Time Forgot thinks of The X-Files: Trust No One, featuring my story, "Sewers". After scoring and pre-scoring all the bookie wookies, head over to Slice of SciFi and see what I think of Agent Carter, Season Two and Lucifer. Agree? Disagree? Aren't sure? Join the discussion over at Slice! And now for some science! Science Alert shares that the evidence for Planet Nine from Outer Space is growing. That's it for today, and while more will be on the way, so will I. I'm heading off next week for the chicklet's wedding meaning I will incommunicado for probably a good couple of weeks. Follow me on Facebook if you want current happenings, since that's probably the only place I'll be checking in for the next week or two. Otherwise, when I get back it's going to be contest time, so get ready to rumble! Of course, the contest will be for my Hook Me Up! subscribers only. Not part of the In List yet? Rectify! Send an email to gini@ginikoch.com with "Hook Me Up!" in the subject line and you'll be in and all ready for the winning that's just around the corner! Until then, let's be NOLA visiting readers out there. Peace out, my li'l gangstas, and I'll catch you on the flip side!